Freshman Rachel Guo's background in traditional Chinese dance lends her a different background for dancing on the drill team. For many girls, making the Red Rhythm drill team, means a focus on jazz, military and kicks to perform and compete. But for freshman Rachel Guo, a background in Chinese dance was what got her on the 2016-17 team after just half a year of learning varieties of techniques. 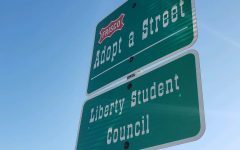 To find out more, Wingspan’s Janet Nguyen sat down with Guo. Wingspan: How long have you been dancing? 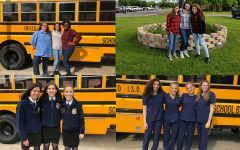 Wingspan: What made you want to try out for drill team? 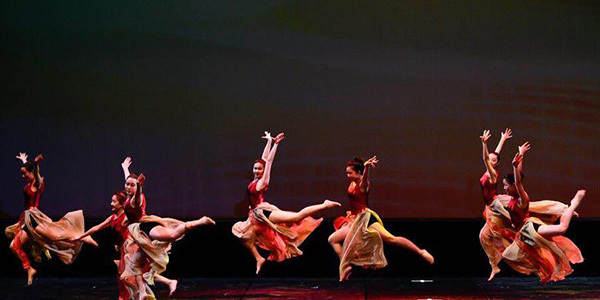 Wingspan: How is jazz, military, and kicks different from Chinese dancing? Wingspan: Do you like drill team dancing or Chinese dancing better? Wingspan: How did you feel during tryout week? Wingspan: What are you looking forward to being on Red Rhythm next year? Wingspan: What are you least excited about Red Rhythm? Wingspan: What’s your favorite style of dance in drill team? Why? Wingspan: What’s your least favorite style of dance in drill team? Why? Wingspan: Who helped you the most with drill team techniques? 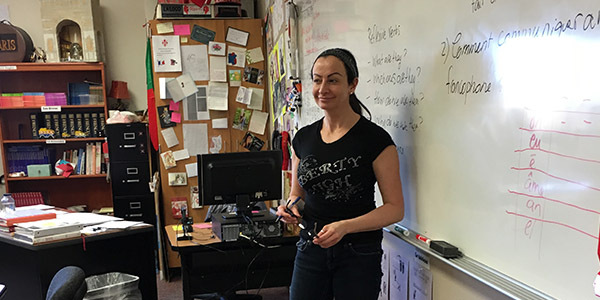 French teacher Dina Baalbaki will be inducting several students into the National French Honors Society on Wednesday at 8 a.m. in the auditorium. Born in Senegal, French teacher Dina Baalbaki is fluent in multiple languages. Her early life in Africa and her ability to speak several languages caught the attention of Wingspan’s Olivia Womack who sat down with Baalbaki for this Q&A. Wingspan: What was it like where you grew up? Wingspan: What made you want to move to the U.S.? Wingspan: Was it hard to adjust? Wingspan: How many languages can you speak? Wingspan: What’s your native language? Wingspan: Are your kids able to speak French as well? Wingspan: Do you miss Senegal? Wingspan: What made you want to teach? Wingspan: What’s your favorite thing about teaching? Wingspan: What is your best experience here on campus? 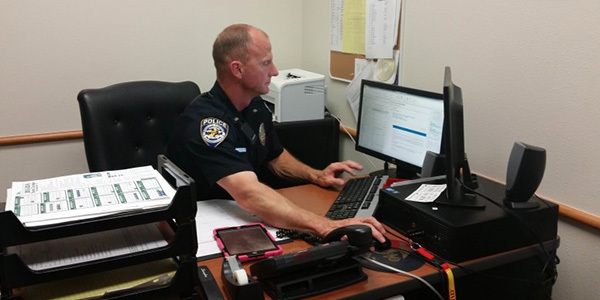 Spending the school year here on campus, school resource officer Jerry Varner is a full time Frisco Police Department officer. Everyone knows him, but not many people know too much about him. Wingspan’s Daniela Iturrino sat down with School Resource Officer Jerry Varner to discuss the in’s and out’s of being a police officer. Wingspan: How does your day usually play out? Wingspan: What do you do all day? Wingspan: What do kids usually come to you for? Wingspan: What’s the craziest thing you’ve had to do as a cop here on campus? Wingspan: What do you love most about your job? Wingspan: What do you love least about your job? Wingspan: What made you want to work in this industry? Wingspan: How are kids supposed to know when they’re in a type of situation where you’re needed? Wingspan: Has a teacher ever come to you asking for help? 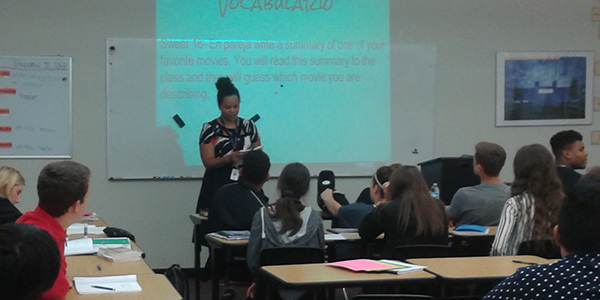 Teacher Makenzi Epps teaches AP Spanish 4 and believes there are many benefits in committing to a foreign language in high school. Learning a second language can look good on transcripts for college and give a student an advantage in the long run. 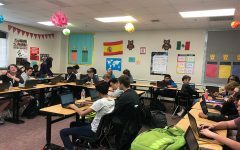 Wingspan’s Prachurjya Shreya sat down with Spanish teacher, Makenzi Epps to talk about how majoring in Spanish may take a lot of work but can be worth it. Wingspan: Why did you pick Spanish out of all the other languages? Wingspan: Why did you decide to teach high schoolers? 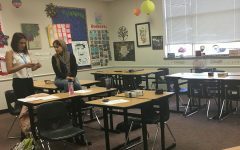 Wingspan: Why do you think students should take Spanish? Wingspan:What are the requirements to be a Spanish major? Wingspan: How did going to Spain change your perspective on the language? Wingspan: What is your favorite memory of Spain? Wingspan: How hard was it to always talk in Spanish? Wingspan: How does Spanish influence your everyday life? Wingspan: While majoring, what were some obstacles you faced? Wingspan: What advice would you give to high schoolers that are pursuing Spanish all four years?